Charles Williams of the Caerhays Estate, Cornwall, has been honoured by the Royal Horticultural Society (RHS) with the Victoria Medal of Honour (VMH) in Horticulture. Mr Williams is owner of the Caerhays Estate and Burncoose Nurseries and an RHS judge and lecturer. 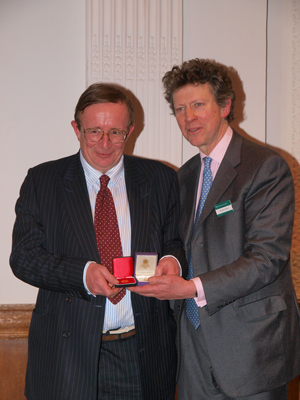 He was presented with his award at a special awards lunch, by the President of the RHS, Sir Nicholas Bacon Bt OBE DL. The VMH in Horticulture was established in 1897, with the assent of Her Majesty Queen Victoria, to enable the RHS Council to confer conspicuous honour on those British horticulturists whom it considers deserving. The medal is awarded for life and only 63 medals may be held at any one time in recognition of the duration in years of Queen Victoria’s reign. Presenting the award, Sir Nicholas (pictured left with Mr Williams) pointed out that it is a reflection of both horticultural excellence, personal endeavour and a passion to succeed. The VMH is regarded internationally as being among the highest horticulture distinction. Following the presentation, Mr Williams commented: “My love of plants and horticulture is really that of an amateur. It is the plants themselves which are the professionals! Amateur or otherwise I am delighted to accept this wonderful honour from the RHS on behalf of Caerhays and Burncoose and all those who work there“. 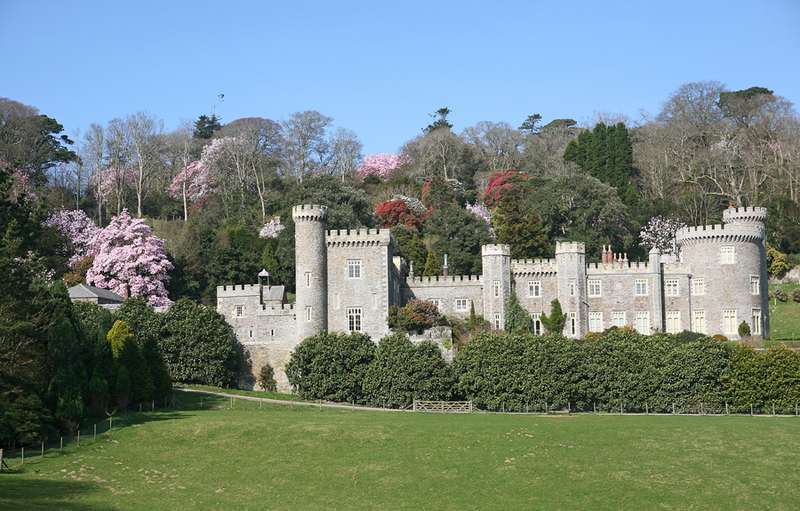 Caerhays is home to a National Magnolia Collection and is a world famous Cornish Spring garden best viewed between March and June. There are spectacular displays of rhododendrons, camellias, azaleas and magnolias in the 140 acre English Heritage Grade II Listed woodland garden. The origins of this historically important collection of Chinese plants can be traced back to the work of the great plant hunters Ernest Wilson (1876-1930) and George Forrest (1873 – 1932).